In full disclosure, U.S. Congressman Hank Johnson (D-Ga) represents a congressional district from my hometown of Atlanta, Georgia. I have relatives who’ve actually voted for him…remember, the alternative was Cynthia McKinney. My Lord, what has happened in my hometown? I served on the House Armed Services Committee with Rep. Johnson, and I can admit, there were many occasions during a hearing that I would wince when he spoke. And how many of you remember the infamous moment when Rep. Johnson actually expressed a concern that the island of Guam would…um, “tip over” if additional Marines were to be stationed there. Don’t believe me? Well, here’s the video. So now, Rep. Johnson has further distinguished himself in a most despicable manner. As reported by the Washington Free Beacon, “A Democratic member of the House Armed Services Committee compared Jewish Israeli settlers to termites on Monday while speaking at an event sponsored by an anti-Israel organization that supports boycotts of the Jewish state. 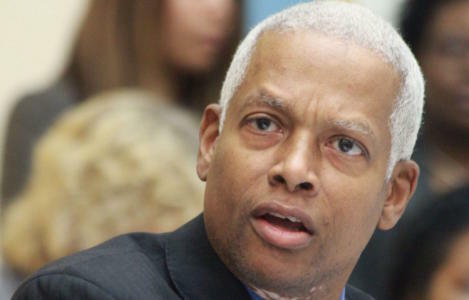 Rep. Hank Johnson (D., Ga.) launched into a tirade against Israel and its policies toward the Palestinians, comparing Jewish people who live in disputed territories to “termites” that destroy homes. Johnson also compared Israeli Defense Minister Avigdor Lieberman to Republican presidential candidate Donald Trump, a remark that drew vocal agreement from those in the room. Now, can you even imagine what would happen if a Republican Member of Congress made such a statement? This comes right after the release of emails from the DNC and former Chairman Debbie Wasserman-Schultz (I told y’all about her back in 2011) that show the DNC sought to attack Bernie Sanders’ Jewish religion – as matter of fact, they wanted to brand him as an atheist. So how is it that we continue to have this anti-Semitic rhetoric and actions from the Democrat Party, yet they get a pass? Donald Trump mentions Muslims and the left goes apoplectic. So what will be the punishment for Johnson? Or are Jews termites as he stated? The real question that needs be asked is how many members of the new American Socialist Party share Rep. Johnson’s sentiment? If we were to base our assessment on the abhorrent way Israeli Prime Minister Benjamin Netanyahu was treated when invited to speak before a joint session of Congress — well, we must surmise it is many. And that also includes the current Democrat party nominee for Vice President, Senator Tim Kaine. So, we have a Democrat Member of Congress who was attending an event supporting the BDS (boycott, divestment, sanction) movement against the country that is “supposedly” our best ally in the Middle East. When will the Jewish community in America come to realize that this party of progressive socialists has no issue with Islamic terrorists killing Jews and destroying the modern day Jewish State of Israel? I mean after all, Fatah is just a cleaned up, slick-talking Hamas. Fatah is the descendant of Yasser Arafat’s PLO, the original Islamic terrorist choom gang. And in the areas controlled by the nomadic Arabs referring to themselves as “Palestinians,” other Islamic terror groups find sanctuary as jihadists are celebrated with monuments and streets named after them. Why is there such a blatant duplicitous hypocrisy with the left? If any Republican had asked a question about the island of Guam tipping over, that individual would have been laughed out of Congress. The Dems just reelect them. If someone from the GOP stands up and refers to an entire group of people in a denigrating manner — the leftist media goes whack, why not here? There’s only one explanation: you are seeing the true face of the Democrat Party, they are anti-Semitic and are allowed to be so by JINOs (Jews in Name Only). If you have a better explanation, I’m waiting to hear it. There will be no censure of Rep. Johnson, the story will NOT be reported by the liberal progressive media and there will be Jews reading this who will actually attack the writer. I remember how incensed certain portions of the Jewish community became when I made the statement that “the Democrat Party had a propaganda machine that would even make Josef Goebbels proud.” All of a sudden I had Jewish groups telling me — the son of a man who fought in the European theater of operations in World War II — that I could not speak of the Holocaust. Remember, four years ago at the DNC convention in Charlotte, the Democrats admitted to making an “oversight” in not stating that Jerusalem is the capitol of the Jewish state. This is who they are…the new American Socialist (and Anti-Semitic) Party. And sadly, I will have relatives back in Atlanta who will go to church and shout Hallelujah praising God and our Lord and Savior Jesus Christ…then they will vote for the same folks who would ensure the Holy Land and the home of Jesus be destroyed.